Introducing The EEMonitor – The New Prepayment Solution from Nottingham City Council. The EEMonitor is a smart and adaptable multi-functional device for use inside the home which shows how much energy is being used and what it costs. The EEmonitor is wholly owned by Nottingham City Council and was developed to fulfil heat metering and billing regulations. 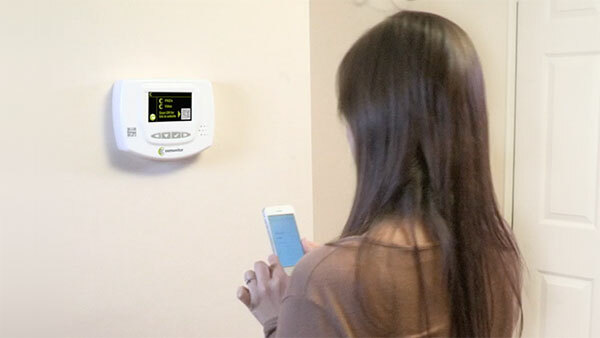 The EEMonitor provides landlords and residents with effective management, cost-benefit and control over energy bills and CO2 usage. If you are new to the EEMonitor, this website has lots of useful information to get you started and will ensure you get maximum value from your device. Running Low on EE Monitor Credit? Top-up your EEMonitor online via our Pre-payment system. Please have your account number and Credit/Debit Card available. Payments are processed securely via PayPal. It’s quick, easy and secure, and credit will be transferred to the EEMonitor in your home. Learn more about the different ways you can Top-up. Normal office hours are 9am – 5pm Monday to Friday.